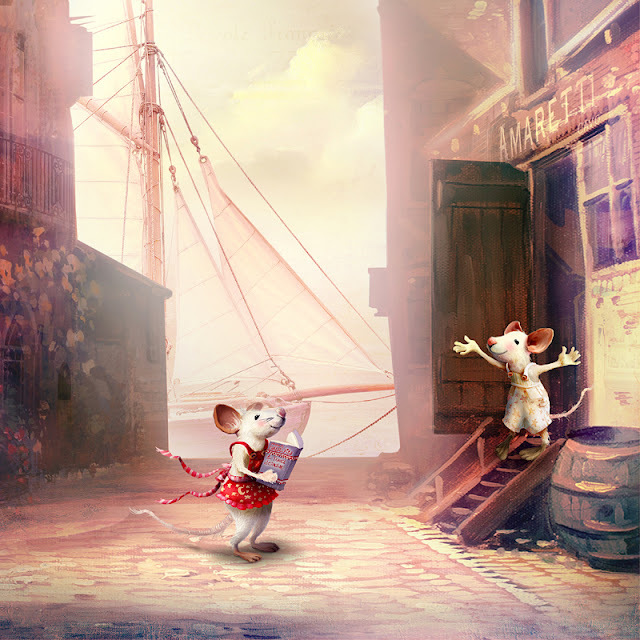 These mousies live for adventure. She finds the most exciting destinations, he gets them there and packs the picnic lunches. (Mostly gorgonzola cheese and ameretti cookies.) I have been living vicariously through these two all summer. Some day I will travel around the known universe like they do. Until that time I have been working on their itinerary. You can meet them in my next kit, which should be ready soon.